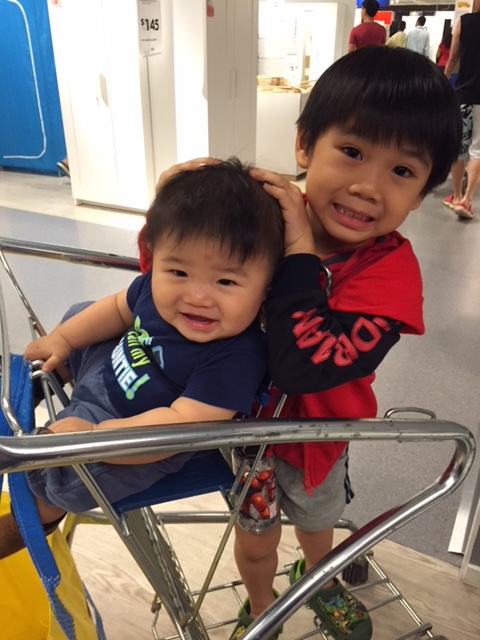 As of 29 Jun 15, I started working and got back to life as a working mum, this time with 2 kids. It’s been almost 4 weeks since and I survived! Thank God for a supportive hubby who helps with some chores at night and helps to put the baby back when he refuses to sleep after nursing in the middle of the night! Yes, the babe still wakes up 2-4 times every night. Sobs! Work has been pretty busy, so it’s just full steam ahead in the day ….. don’t have much time to miss the baby. The few days before I went back to work, I was starting to miss him already after spending so much time with him the first seven months of his life and rarely away from him. Certainly life has changed quite a bit. Time at home and with the kids is much shorter and hence seems more precious. The baby adapted quite well to the change. We had been preparing him quite a bit and he was finally taking bottle quite well. Something which I wasn’t expecting was for Daniel to actually feel the difference. He seemed more moody after I started work and after talking to him, he did express that he was sad that now he saw less of me. Did not expect the impact on him to be that great as he is after all in childcare full day 3 times a week. But I guess it does make a difference to a child when he sees you when he gets home. Thus it can be really painful as a working mum, knowing that there are some things your kid has to get used to – like having less time with you. It also happened that these few weeks have been really busy in school and I have to come back later quite often. This week, things got worse as Daniel came down with hfmd. I really felt sad that I couldn’t be with him more while he was sick and having painful ulcers. Guess this is one of the woes and heartaches of a working mum…..not being able to be fully available to your child. Q: Has being a mum changed the way you do things, especially when it comes to your business? I’m a mum first and a businessperson second. I think that being a mum makes people more effective workers because you want to finish everything quickly and go home. Getting back home as soon as possible to Renee after work was always my priority, which is why I think mothers are always more efficient — because they have a purpose and they have a place to be at, and that place is always by their kids’ side. What she said really encouraged me on a few points. Firstly, that perhaps it is possible for working mums to be successful at work without sacrificing family. I always feel that working mums may not be able to shine as much as their counterparts who do not have kids as they have so much more time and energy to give and are more able to commit. What she said made me see things from another perspective ….. that being a mother motivates you to think of how you can do your job better and faster so that you can go home quickly. Secondly, it made going home quickly and early sound really good. It is important for working mums and for that matter working dads not to stay late as much as possible. As it is, working hours in Singapore are already long. If one were to put in extra hours, you may not even get to see your child at all for that day. And to put it in another way, the child may not get to see his parents at all that day. In my job as a school counsellor, it troubles me when I hear about kids who hardly see their parents at all because parents are busy working and weekends are taken up by tuition and other enrichment activities. 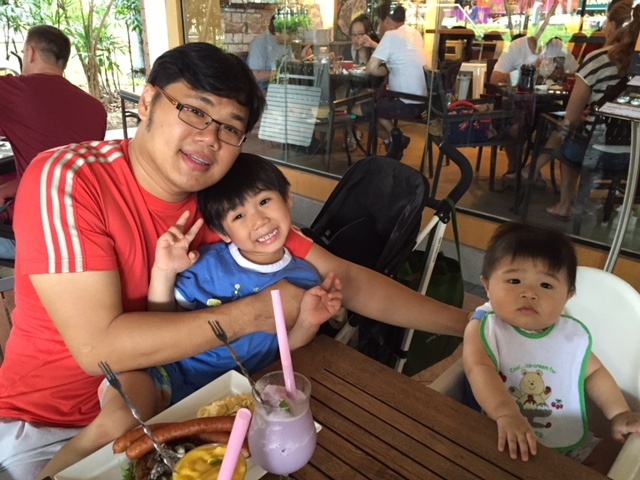 In busy Singapore, one has to deliberately make decisions to guard time with family. Kids do need their parents to be around and to have strong presence in their lives especially in their formative childhood and teenage years. In trying to explain to Daniel why mummy has to work, it also made me think about why I am working. I choose to work because I do believe in the benefits and like the stability of having dual income. Also, I do not feel that I am fully effective and most fulfilled as a stay home mum. 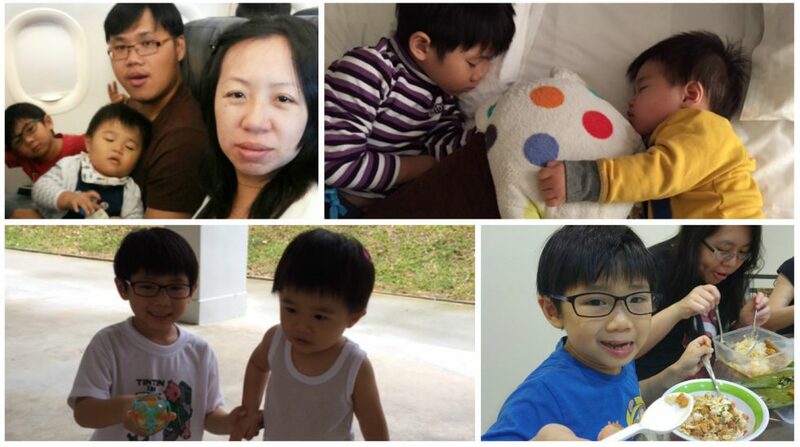 I truly do admire some really awesome stay-at-home mums who are able to do so much with their kids! I do like what I am currently doing and I like that working gives you something else other than your kids to focus on and adds another dimension to life. Ideally I would like to work part-time. Unfortunately, part-time working arrangements are not so readily and easily available. So for now, I am still a full time working mum. And I am inspired to be efficient and effective at work so that I can do my job well and go home and spend more time with my kids! This is a belated Father’s day post! 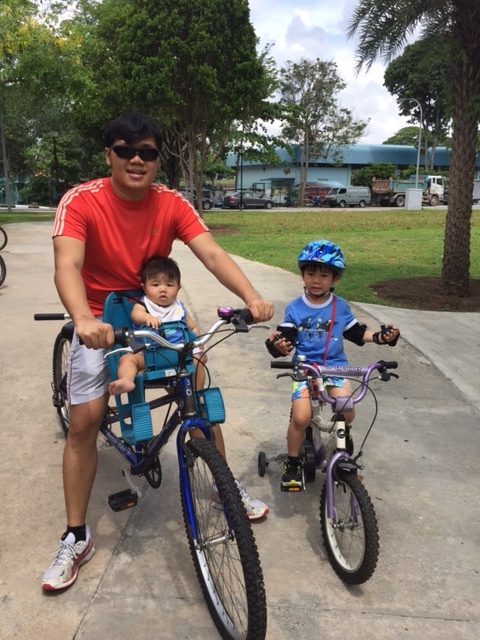 We celebrated Father’s Day this year on 21 Jun by going cycling! Started the day with a lovely brunch at Chock Full of Beans. After that, we went cycling at Changi Beach. 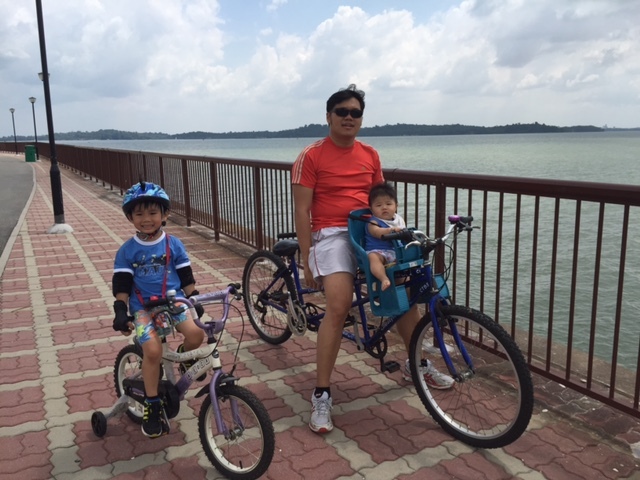 This is the first time we are cycling together as a family and it was pretty fun. Even baby got to cycle with us in his baby seat! Happy Father’s Day to the best daddy ever! Appreciate my dad for being such a constant figure of stability in my life. Blessed with good parents who provide and care for us in the best way they can and know how to. I never doubt their love for me and helps me to understand how much more my heavenly Father loves me. One time the Lord spoke to me how much He loves me through this verse. I began to have an insight of the depth of his love for me. I know my parents will never forsake me. But I understood that even if I ever experience rejection from them, the Father’s love for me is so deep and He will never forsake me. Indeed we can never fully comprehend with our finite mind the depths of the Father’s love for us. We need regular encounters with Him and revelations of His love for us, so that we will never leave our first love for Him and forget how much He loves us.